Pit Bull Is Scared Of Disturbing The Cat, So This Is What He Does…I’ve NEVER Seen Anything Like It! 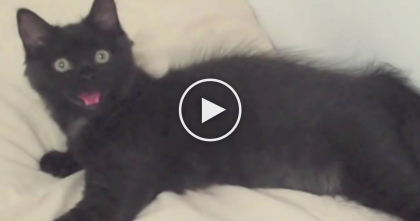 This dog is VERY respectful of cats and it’s the craziest thing ever! In this hilarious and unusual video, he’s so scared of disturbing the cat behind the door and under the box that he tip toes by as to not awake the resting cat who likes the box behind the door! 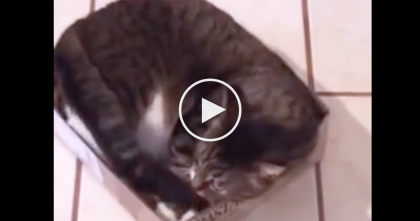 Cat Rejects All Other Places To Sleep And Refuses To Leave His Favorite Box… LOL, Just Watch! 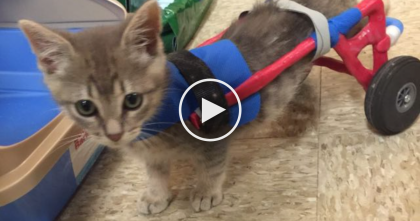 Kitty Tries To Teach Yoga Class, But The Results… It’s Hilariously Purr-fect! Watch To The End, OMG! 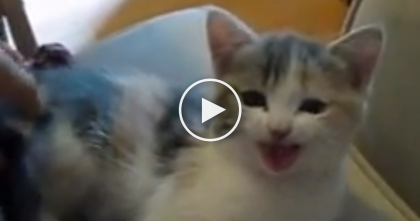 Tiny Calico Kitten Has Something To Tell His Human, Now Watch, It’s TOO Cute For Words. 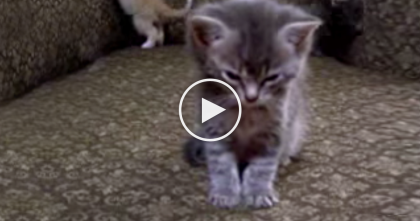 This Kitten Is Trying To Sleep, But It’s Nearly IMPOSSIBLE… Just Watch.